2016 was the year of startups in Vietnam. In the last few years, entrepreneurship has slowly emerged as a key driver for economic prosperity and growth. 39580 startups have entered the Vietnamese market in just the first four months of 2017, an increase of 14 percent from the first quarter of 2016. Aggregate capital registered in 2017 is approximately US$ 17 billion, an increase of 54 percent compared to the first quarter of 2016. Numerous systemic factors have successfully contributed to a fertile startup environment. Social factors are at the core of such analysis. The growth of the internet and social media, which should strengthen public opinion and social activism, lays down the incentives for the government’s promotion of startups and economic liberalization as a way to lower public dissent. The presence of technological progress, especially in IT, has lowered the entry barriers for private enterprises and the population’s rising income has produced the “market critical mass” for startups to thrive. new materials, new energy, nanotechnology. Carrying a total investment of approximately USD$ 21.5 million, the center will host workshops, research, and development projects and incubate start-ups. It is expected to attract USD$ 1.5 billion by 2020. The Saigon Silicon Center is an initiative of the Vietnamese Government in collaboration with the Ministry of Science and Technology. In addition, the Vietnam Silicon Valley Accelerator collaborates with experts from all over the world to gain valuable expertise in building the ecosystem. It also invests US$ 10000-20000 in start-ups for 5-10% equity stake. Another Vietnamese startup hub that is strongly emerging is the coastal city of Da Nang. Driven by low cost, a robust engineering talent pool, and government support, the city has attracted established players in the tech field. The city hosted Startup Fair 2016 last year to highlight its capabilities and foster the startup ecosystem. In 2016, the city also established the Da Nang Entrepreneurship Support Company, a US$1.3 million incubator to run incubation programs. Da Nang has a High-Tech Park as well that represents the core of Vietnam’s ambitious 2020 IT Master Plan. In 2012, IBM selected Da Nang as one of 33 cities worldwide to receive IBM’s Smarter Cities Challenge grant, a $50 million, three-year program to revamp the city’s infrastructure around economic development, sustainability, transportation, and urban planning. Fintech has emerged as the most attractive sector in which to invest with remarkable growth figures in 2016, having received USD$ 129 million in investments. M&A activity has also been intense lately, which contributed to the overall progress of the ecosystem. Payment still accounts for the largest pool of fintech startups. Foreign and local startups could easily break into new sectors, namely InsurTech (insurance), Wealthtech (wealth), and Regtech (regulation). Vietnam has even set up a steering committee on fintech led by the Central Bank with the purpose of supporting the State Bank of Vietnam Governor in his policies. Other emerging areas of startups include information technology, tourism services, and food. It is a project funded by the Asian Development Bank and Governments of Australia to foster private sector development in Cambodia, Laos, Myanmar, and Vietnam. For R&D projects, 10% of annual profits can be placed into a tax-deductible fund before tax is levied. 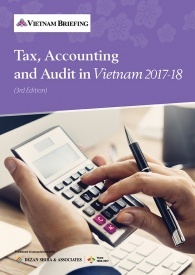 Like many societies, Vietnam stands today at the crossroads between the traditional relationship based culture that favors hierarchy and the establishment of connections and a modern attitude, where technology, growing incomes and international exposure have opened up new sectors. Moreover, Vietnam has a large homogeneous ethnicity, which gives rise to various subcultures that impact the way startups operate in the country. The first distinction comes when analyzing the behaviors of northerners and southerners. The latter tend to be more open-minded, business oriented and direct in doing business while the former emphasize political connections as a key strength before engaging in business. Additionally, northerners are generally better at studies, have the habit of saving money, and are more conservative, whereas the southerners are more dynamic, willing to start up, and spend as they earn. Despite ongoing reforms, corruption continues to negatively influence Vietnam’s business environment. 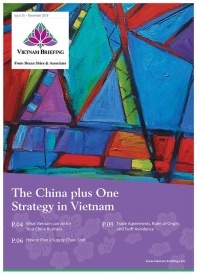 Investors must be aware of the fact that corruption in Vietnam is merely regarded as an administrative short cut. 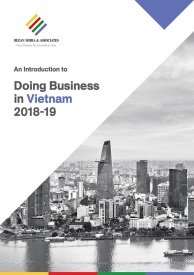 Foreigners willing to invest in Vietnam should be aware that the Vietnamese government’s plan to render most enterprises locally-controlled means that the regulations are a lot less binding for companies that are majority Vietnamese-owned. Depending on business lines, entering into a Joint Venture with a local party may be allowed, restricted, or locked. From a regulatory standpoint, it might be preferable to accord relevant equity stake to local partners so as to enjoy little regulatory pressure while from an operational standpoint it might be advisable to assign a minimal stake to a local partner in order to safeguard both decisional power and technology retention. 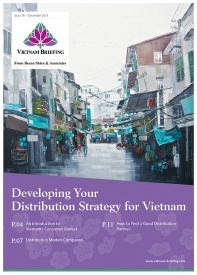 Access to traditional finance might well not be the easiest since Vietnamese commercial banks typically lend to large and established businesses. Therefore, the foreign investor should be prepared to rely on self-funding or find partners to invest. For entrepreneurs having broader plans, venture capital funding is also an option, albeit a more limited one. 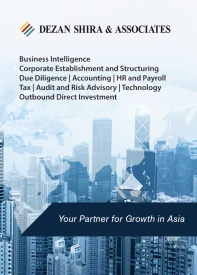 During 2016, three major VC firms IDG Ventures Vietnam, Cyber Agent, and DFJ Vinacapital have been operating in Vietnam, investing over US $120 million in funding and consulting several brands. Labor in Vietnam is characterized by minimum wage laws and strict social security policies, but it is still easy and cheap to hire new staff. As we have seen, the Vietnamese population is also incredibly young, and their education system is under constant improvement. The government has very specific plans to upgrade the academic and business capabilities of its workforce and has instigated many educational programs to do so. 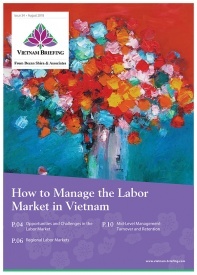 Vietnamese workforce has also been known to be modestly job-hopping, especially after the payment of large bonuses by firms. Thus, talent retention and a good incentive scheme are crucial for start-up businesses needing stability. The early adaptors in the country are often the younger generations who are also the majority of the users of social media. Hence, social media can act as an outreach channel for startup firms. Any entrepreneur looking to open a business in Vietnam is advised to invest serious time and energy into online advertising and reach.